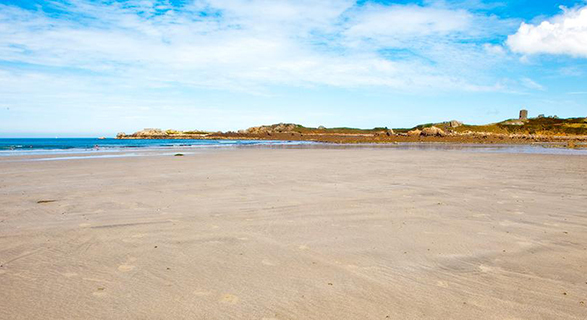 With an area of just 25 square miles, Guernsey offers an impressive 29 miles of coastline to explore on your trip. 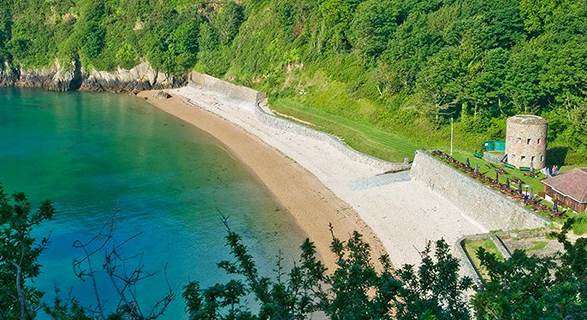 Each cove, bay, beach, and rockpool have their own perks and special appeal. This Guernsey beach guide will give you a rundown of 22 of the best beaches to visit and tell you a little more about their unique charms, local amenities and a little on how to access the spots; so you can spend less time planning and more time getting out there discovering your new favorite beach and making memories! Dogs are welcome! Before we get started it’s important that we highlight a few simple rules that apply on Guernsey beaches for dogs and those who accompany them. Between 1st May and 30th September each year, dogs are not permitted on some beaches, even if on a lead. Other beaches allow dogs at all times of year and you do not need to use a lead. The information for each beach is indicated below. Please also pick up after your dog and prevent them from chasing or disturbing wildlife. Other than that your four legged friend is free to frolic to their heart’s content. Life is quite simply, a beach. Please be aware that there are no lifeguards on beaches in Guernsey. Take care both on the beach and in the water and always ensure you check the tide times carefully. Guernsey has a very high tidal range and water levels can rise quickly. With good sand underfoot, great shallow waters for swimming, and a pleasant small harbour to stroll along, Portelet Bay is a safe and peaceful spot for a day at the beach. Thanks to the beach's southerly orientation, days here are long and bright. A path behind the beach leads on to a picturesque pedestrian-only walk past the lighthouse keepers' cottages to the fort at Pezeries Point, perfect for a romantic stroll! Bus Route Bus route 61, 71, 91, 92, 93. Exit at Portelet Bay. Parking information There is a small car park behind the kiosk and another small car park 180m along the road. Nearest shop to the beach The kiosk sells beach items such as sun cream, hats and beach games. Nearest place to eat Portelet Bay Kiosk is ideal for picking up an ice cream or light refreshments. 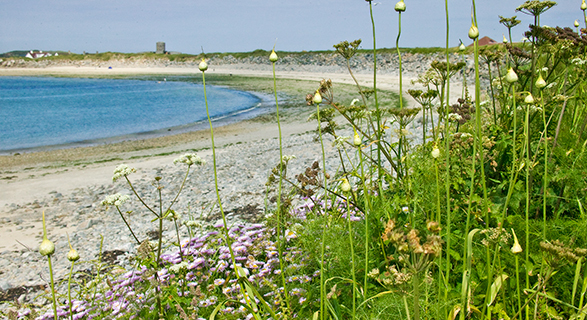 One of the rare Guernsey shingle beaches, Rocquaine Bay is just shy of a mile north of Portelet Bay, connected by a stunning coastal road. With breathtaking views of the colloquially known Cup and Saucer - otherwise known as Fort Grey, this picturesque bay really is worth a visit during your stay. If you're visiting in July be sure to check out the annual Rocquaine Regatta, a full day and evening of entertainment and activities for people of all ages. Bus Route Bus routes 61, 71, 91, 92, 93, 94, N3. Exit at Rocquaine Bay. Parking information Parking is available at Guernsey Pearl at the south end of the bay. Nearest shop to the beach There are no shops in the bay. Nearest place to eat Guernsey Pearl Cafe is opposite Fort Grey or alternatively Portelet Bay Kiosk is a 15 minute walk away. L'Eree is a large popular bay, great for the little ones to stretch their legs out and a fantastic place for sandcastle competitions! Like Portelet Bay, L'Eree enjoys long days and is great spot to watch phenomenal sunsets. With easy access from a nearby car park, lots of options to eat lunch or dinner, and excellent ice creams (they always taste best from a van - available all summer) make this a stop on your holiday. Bus Route Bus routes 61, 62, 71, 91, 92, 93, 94, N3.Exit at L'Eree Bay. Parking information There is ample free parking. Perfect waves await. Vazon Bay is a second home to surfers, kitesurfers, and bodyboarders alike. Catch our clean waves and enjoy the natural lift back to shore. Not a surfer yet? 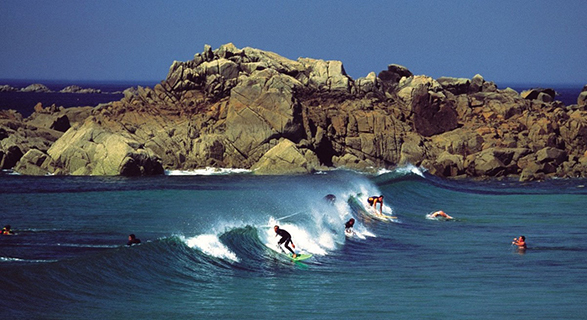 Vazon is home to Guernsey Surf School - and it is never too late to learn! Not interested in getting in the water after all? 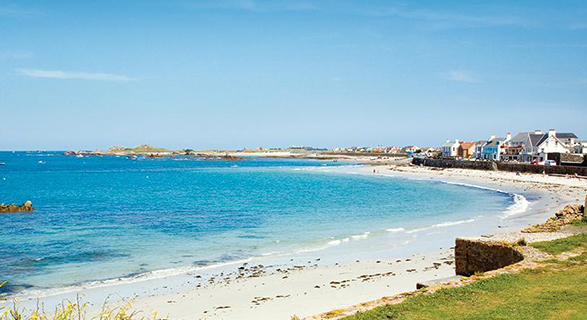 This Guernsey beach guide has you covered. 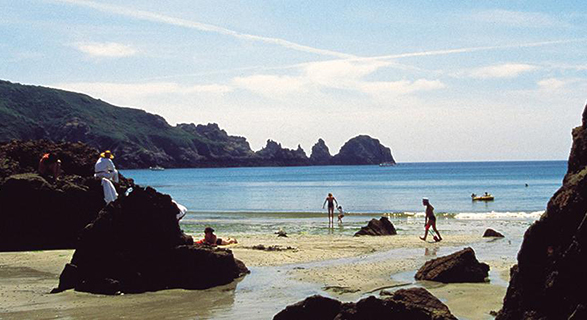 This picturesque beach is also a hub to some of Guernsey's best eateries, so go grab a taste of the island and relax. Bus Route Bus routes 41, 42, 62, 91, 92, N2. Exit at Vazon Bay. Parking information There is plenty of free parking next to the beach. Nearest place to eat There are a couple of kiosks including Vistas Beach Cafe & Richmond Kiosk. Crabby Jacks Restaurant is also nearby. White sands? Pristine Waters? Blazing sunsets? Check! This lively bay is the perfect location for anyone who's reading this Guernsey Beach Guide and is looking to mix natural serenity with excellent vibes from happy beachgoers. Great for those who want to spend all day at the beach and polish off the evening with some delicious local tipples, and with parking in abundance nearby and wide-open space on the beach, it's also a favourite with young families. Bus Route Bus routes 41, 42, 62, 91, 92, N2. Exit at Cobo Bay. Parking information There is ample parking in the middle of the bay. Nearest shop to the beach A general store is close by and an Iceland store. Nearest place to eat You are spoilt for choice with plenty places to dine, such as The Rockmount, Cobo Tea Room, the famous Cobo Fish Bar and The Kiosk at Cobo. Another great sunset viewpoint. 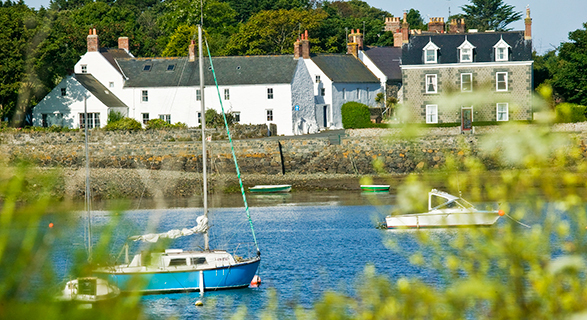 Just north of the busy Cobo Bay, visit Grandes Rocques for a more relaxed vibe but with all the beauty of the busier bay. With excellent walks around the beach, great swimming in clear waters at all tides, and ample rock pool exploration for when the tide is out this beach is a real gem. Bus Route Bus routes 41, 91, 92, N2. Exit at Grandes Rocques. Parking information Parking next to the beach and larger car park at the northern end. Nearest place to eat Grandes Rocques Bistro, Grandes Rocques Beach Kiosk and Wayside Cheer Hotel are all within easy reach of the bay. With great swell, Portinfer is another popular surf spot on the island and the rocky outcrops from the beach make for a truly epic backdrop for when you drop in on the perfect wave. Make sure to check tide times for this beach - the rocks that make this place so spectacular also make it dangerous, so don't go in at low tide or when the tide is on its way up. Bus Route Bus routes 91 and 92. Exit at Portinfer. Parking information There is parking at Port Soif Common or at the north end of the bay. Nearest shop to the beach Beach goods can be purchased at the beach kiosk. Nearest place to eat Surfside Kiosk at Port Soif is a short walk away. 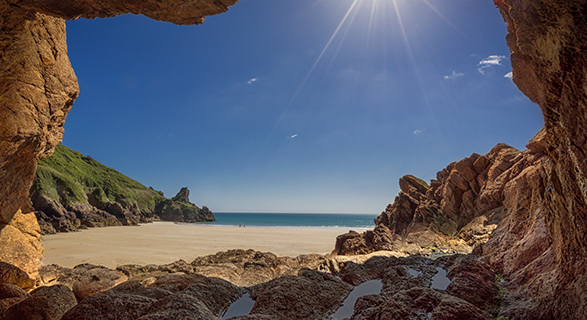 This horseshoe-shaped picturesque beach offers some shelter from the wind when the weather is a little livelier. 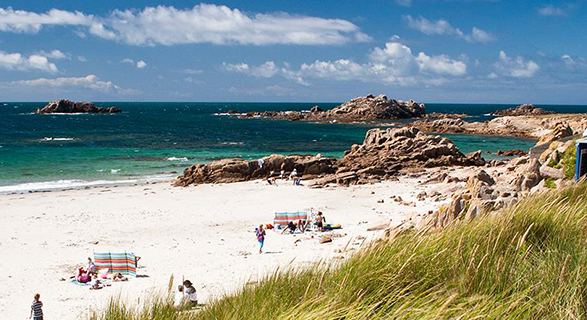 Locals flock here on weekends, and if there's anyone who's an arbiter of beach quality it's a Guernsey local! Low tide offers great rock-pooling opportunities and it's a great spot to swim. The beach kiosk sells fabulous ice creams and hot snacks, dig in. Bus Route Bus routes 91 and 92. Exit at Port Soif. Parking information Parking is available on Port Soif Common. Nearest shop to the beach The beach kiosk sells beach goods. Nearest place to eat Surfside Kiosk is located at Port Soif Common. 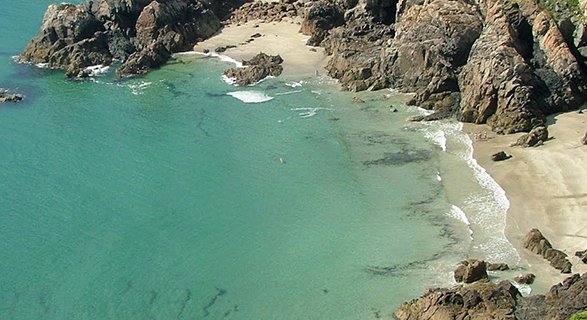 This stunning horseshoe bay is a brilliant sun-trap with soft white sands and is perfect for a swim at high tide. 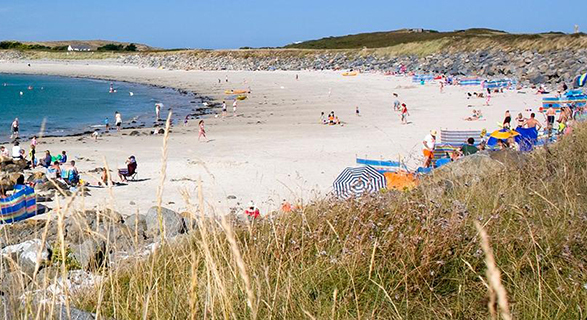 Port Grat tends to be a little quieter than some of the other beaches on this Guernsey beach guide, so great if you're after some coastal R&R. Up on the headland (a great spot for a stroll too), there is a popular kiosk selling excellent energy-boosting snacks and casual meals. Bus Route Bus routes 31, 32, 91 and 92 Exit at Port Grat. Parking information Parking is available on Rousse headland and at the start of the bay. 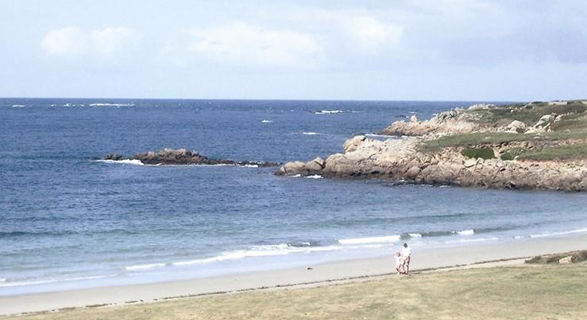 Nearest place to eat Rousse Kiosk is located on the headland and the Peninsula Hotel is nearby. 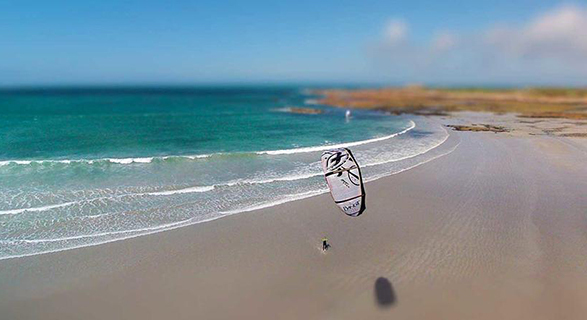 One of the biggest bays on Guernsey, Pembroke and L'Ancresse Bay back directly onto a links-style golf course, but these bays also support a thriving water sports community with excellent windsurfing, surfing, sailing and sea kayaking adventures just waiting for you to dive in. With a water sports centre nearby all that's missing is you! Bus Route Bus routes 11, 12, 92, 93, N1. Exit at L'Ancresse. Parking information Ample free parking along the bay. Nearest shop to the beach Beach items are available at the kiosk. Nearest place to eat The Beach House and L'Ancresse Bay Kiosk are both situated in the bay. 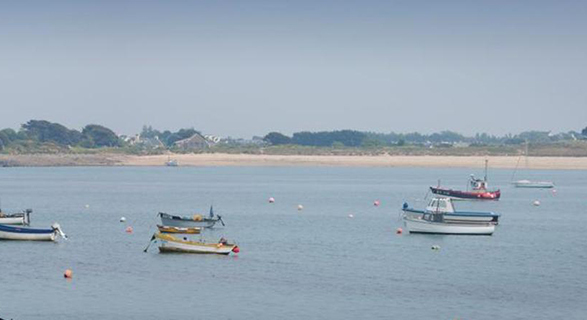 Grande Havre is a natural harbour with a stunning sandy stretch of beaches including Le Picquerel, Les Ammarreurs Harbour, Rousse, Ladies Bay and Chouet. Grand Havre means "large haven" and it is known for protecting local boats from prevailing southerly winds. A great beach for those who want to learn some local history, Grande Havre was an 18th-century strategic point, defended by two impressive artillery towers, Rousse tower, and Chouet tower, which are definitely worth seeing. Bus Route Bus routes 13, 21, 31, 32, 91, 92, P2 and N1. Exit at Le Grande Havre. Parking information Parking nearby at La Rousse Tower. Nearest shop to the beach A food hall is located approximately halfway along the bay. Nearest place to eat There are several restaurants located throughout the bay such as Houmet Tavern, Peninsula Hotel, Rousse Kiosk, Vale Pond Kiosk & Amarreurs kiosk. The adjoining bays of Chouet Bay and Ladies Bay abound with soft, fine white sand, good windsurfing conditions, and of course some seriously beautiful views. With a nearby playground and a gently sloping beach with ample paddling opportunities, this is a favourite beach for families. Bus Route Bus routes 12, 13, 91, 92. Exit at L'Ancresse Common and walk for 10 minutes along Mont Cuet Road. Parking information There is parking at both the south and north ends of the bay. Nearest place to eat Amarreurs mobile kiosk and Roc Salt Restaurant are both located on the headland. 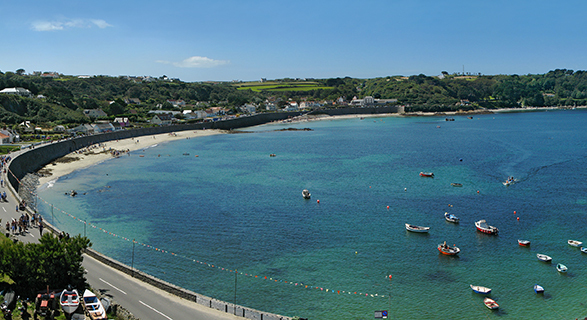 A rocky beach near to St. Peter Port town centre (ideal for those who want the busier hub of the town as their holiday base) Belle Greve offers spectacular views, which stretch as far as some of the other Channel Islands on a clear day. The promenade that runs along the beach make this a brilliant spot for a quiet evening stroll and the colourful boats dotted throughout the water add to the picturesque vibes of this lovely spot. Bus Route Bus routes 11, 12, 13, 21, 31, 32, 51, 52, 91, 92, N1. Exit at Belle Greve Bay. Parking information La Salerie car park is to the south of the bay. There is a small carpark at 'halfway' and parking at Richmond Corner to the north. Nearest shop to the beach There is a small shop in the garage at 'halfway' and the main town of St Peter Port is easily accessible from the bay.. Nearest place to eat The Red Lion & La Piette Hotel are the closest eateries and the main town of St Peter Port is a short walk away. A small natural fishing harbour, Bordeaux has two sandy beaches. The ruins of Vale Castle are close by and can be easily reached on foot, for those who want a little history with their beach trip. This walk is a great way to spend the hours waiting for the tide to rise and ideal swimming conditions to return to Bordeaux. Bus Route Bus routes 11, 91, 92, N1. Exit at Bordeaux. Parking information Parking can be found at both ends of the bay. Nearest place to eat There are no cafe's or restaurants nearby. We recommend packing a beach picnic! 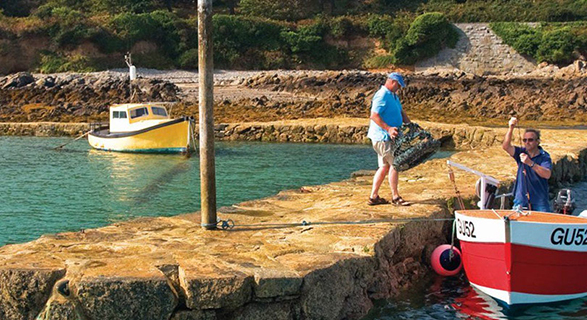 With a mix of sand and shingle, Havelet doesn't have the softest sands but it does offer three tidal pools, ensuring there's always a safe option for those who fancy a dip in the clear sea water. Close to St Peter Port savvy beachgoers while away the hours during high tide at the many excellent eateries while the sea laps up against the harbour wall and return to the beach as the tide retreats. Bus Route All buses stop at Havelet Bay Exit at Havelet Bay. Parking information There is lots of parking along the bay and in the main town car park. Nearest shop to the beach The main town of St Peter Port is a short stroll away from the beach. Nearest place to eat There are several restaurants located nearby such as The Slaughterhouse, Coco Brasserie & Octopus Restaurant. 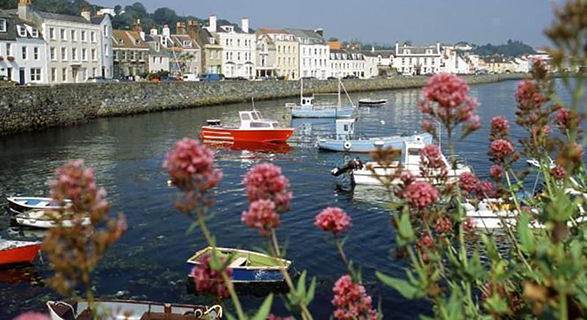 The main town of St Peter Port is also close by. 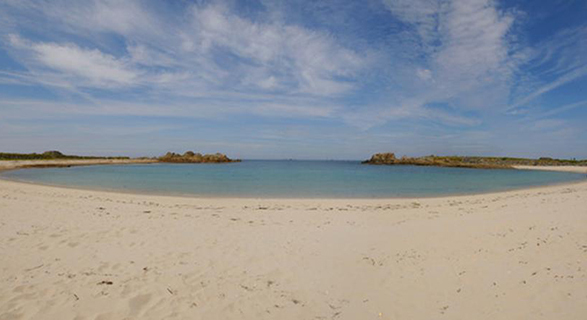 Something to note in this Guernsey beach guide is how the beaches change across the island. Bays in the south are very different from their northern and western equivalents, the bays here are located at the base of cliffs and can't be reached as easily - which is something to keep in mind. 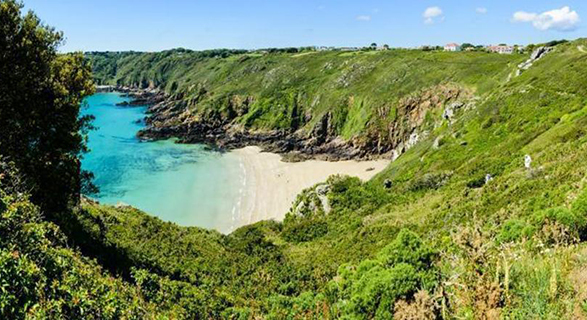 Fermain Bay is a rare Guernsey pebbly beach, and the walk down Fermain Hill offers one of the most breathtaking cliff views on the island. Bus Route Bus routes 91, 92, 93, 94, 95, N3. Exit at Fermain Tavern and walk approx 600m along Fermain Lane. Nearest place to eat Guernsey's most famous kiosk Fermain Beach Cafe is situated at the top of the slipway. Petit by name but massively breath-taking. 400 steep steps down to the beach reward those who make the journey with beauty in abundance. It really is a spectacular beach. This tends to be a quieter spot on the island and you'll often have the place to yourself well into the high season. 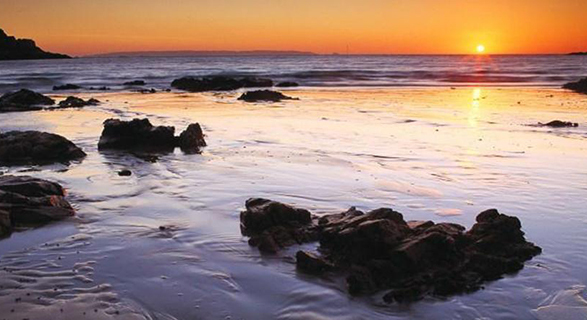 Enjoy the quiet wonder this beach possesses and bring a camera to capture the views. Bus Route Bus route 81. Exit at Doyle Column. Walk north along Route de Jerbourg for 200m and take the footpath on your left. Parking information The nearest parking is located at Jerbourg Point. Nearest place to eat Jerbourg Kiosk is located in the parking area, but as it is up steep steps we recommend taking a picnic with you. 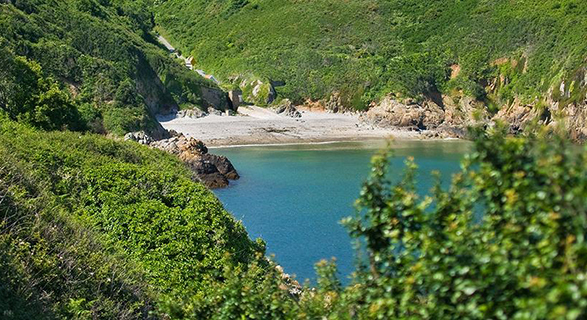 The French artist Renoir was a fan of Moulin Huet, and we're sure you will be too. This sandy bay is a lush swimming spot and rock-pooling is fantastic at low tide. With a car park just above the bay, it is a short walk to reach the beach, and it is a great spot for everyone. Bus Route Bus route 81. Exit at Bella Luce and follow these walking directions. Parking information Parking just above the bay at the start of the footpath. Nearest place to eat Moulin Huet Tea Rooms are situated close to the bay just a short walk up the path. Another one of Guernsey's lesser-visited beaches, what it lacks in footfall does not equate to lesser quality! It really is a beautiful spot, with blue seas and white sands. There is a cliff walk to access the beach, so make sure you bring your provisions down to the water's edge or get those legs warmed up for the repeat journeys back up to the road! A great sheltered area, the waters are calm and ideal for a swim. Bus Route Bus route 81. Exit at La Barbarie Hotel. Head south on Saints Bay Road until you reach the kiosk. Parking information There is limited parking further up the hill or at the harbour on the opposite side of the bay. Nearest place to eat >You will find Saints Bay Kiosk at the top of the slipway from the beach. This place feels wild. With sweeping cliffs leading down to the blue waters there is a challenging walk to reach this incredible bay. Accessed from the coastal path, La Jaonnet is about half a mile from the car park at Icart Point, and steep steps provide the only access. There is a seat halfway up/down the route, but the journey to this rugged bay is as tough as the bay is remarkable. Bus Route Bus route 81. Exit at ICart corner. Walk south along ICart Road. When you reach the car park take the cliff path on your right. Parking information The closest parking is a 15 minute walk away at Icart Point. Nearest place to eat The nearest cafe is found at ICart Point, approximately 15 minutes walk away along the cliffpath. This sheltered sandy bay is embraced by impressive high cliffs. With limited parking nearby make sure to rise early to grab your spot. The descent to the beach (and ascent at the end of the day) is a little challenging, so Petit Bot is more suitable for families with little ones who have firmly found their feet! With a waterfall on the approach to the bay and a quality tearoom, the rewards for getting to Petit Bot early are plentiful, plus the swimming and rock pooling here are top notch. Bus Route Bus routes 91, 92, 93, 94, 95, N3. Exit at La Bourg. Follow the signs to the German Underground Hospital and continue on this road until you reach Petit Bot Cafe (approx 1.5km). Parking information There is a small car park. Nearest place to eat Petit Bot Kiosk is at the top of the slipway from the bay. We hope that this Guernsey beach guide will help you pick the perfect spot for your next adventure - see you at the beach!